Hekate (also Hecate, Hecata) is usually portrayed with 3 faces, representing the goddess of the crossroads. She is the goddess of witchcraft, the protector of newborns, and the guardian of the household. She is a moon goddess over the kingdoms of earth, sea and sky. She has the power to create -or- withhold storms, as well as give -or- withhold gifts to the earth. 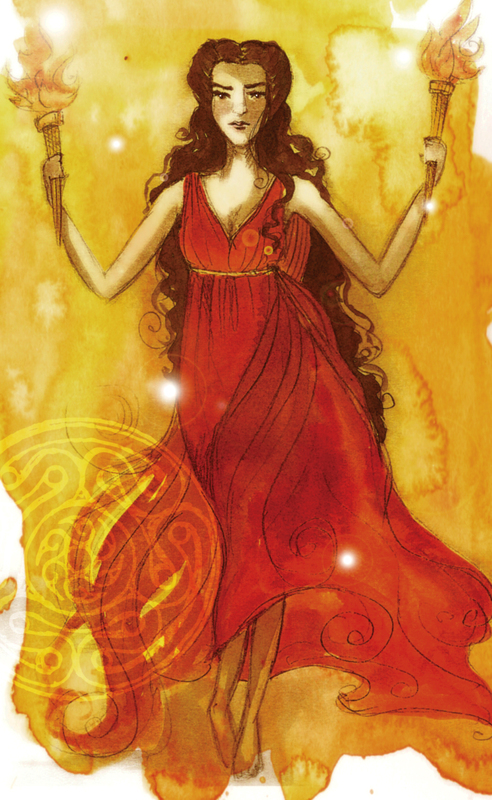 She was a trusted companion of Persephone while in Hades. Their time spent in the underworld is said to have contributed to Hekate’s black-magic, having developed the power to conjure up dreams and prophecies. She walked comfortably with outcasts, ghosts, the misunderstood, and the suffering. Because of this, she was sought out by witches, magicians, and mystics for guidance.